Wow Sylvie - sounds like you're going to have a fabulous time.......wish I was there!!! lol Fantastic card, gorgeous image and beautifully coloured. Have a wonderful time. Such a beautiful card Sylvie. I love the image, colours and fabulous design. WOW!! Sounds like the music festival will be fabulous, I hope you have a good time. This is gorgeous Sylvie. Love the flower and the colours against the craft card are lovely. This is a lovely card. The colours look great and the red and white twine is perfect for this! A beautiful car Sylvie. the flower and colours are so pretty. Beautiful card Sylvie, love the gorgeous image. This is beautiful Sylvie, such a gorgeous image. I hope you are enjoying your weekend, it sounds fabulous. This so lovely, Sylvie. Love it's simplicity. lol..We love to read your waffle Sylvie :o) Sounds like a fab time. 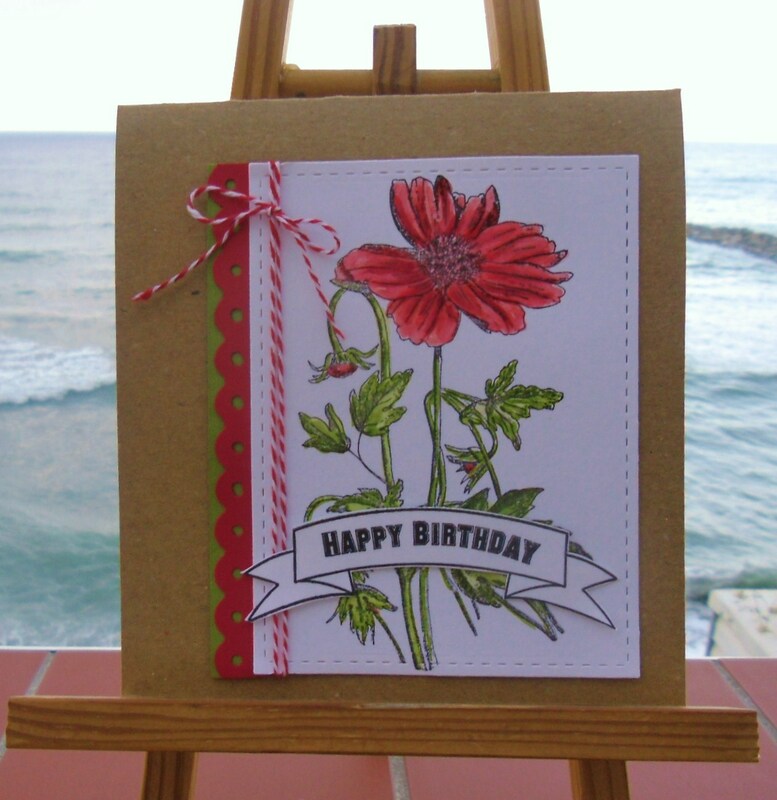 Love the card, and red/white are perfect colours to choose.